Perfectly situated on the marina side of Birkenhead Point Shopping Centre, Café Birkenhead is the gold standard in Sydney wedding venues where timeless sophistication and modern elegance go hand in hand. Café Birkenhead is a beautiful waterfront venue located only 10 minutes from the city. Its stunning new location, relaxed atmosphere and modern architectural design with panoramic views towards the city make this venue the perfect place to celebrate your wedding celebration. At Café Birkenhead, we pride ourselves on offering a flexible and friendly service for you and your guests. All of our packages can be designed to suit any style and budget, and we are proud to keep our packages at a very affordable rate without compromising on quality of food or service. 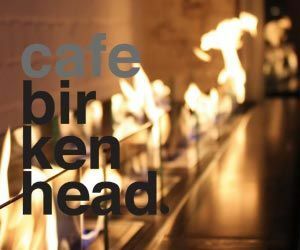 Café Birkenhead is also ideal for engagement parties and cocktail wedding receptions. We offer a delicious array of freshly plated Australian cuisine served with exemplary service. Experience Sydney’s prestigious reception venue for the wedding reception beyond your expectations. Café Birkenhead is simply the perfect place for you and your guests to celebrate your upcoming function or wedding reception, so please call or visit www.cafebirkenhead.com.au for more information.